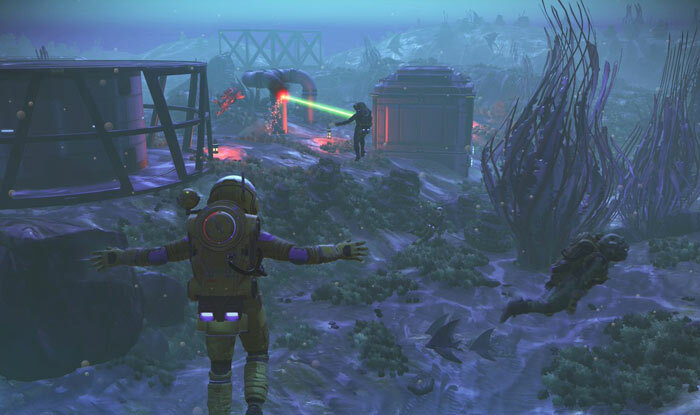 A new video trailer has been shared for interplanetary sci-fi adventuring game No Man's Sky. 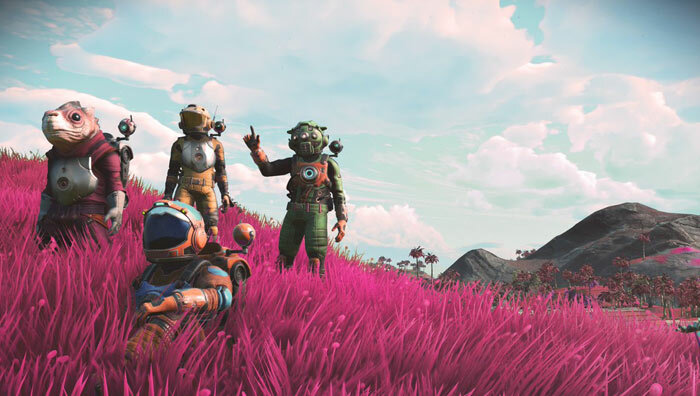 No Man's Sky NEXT is a free update, scheduled for release on 24th July, which will deliver some important new features to owners of the game, and on the same day No Man's Sky will debut on the Xbox One. The core appeal of No Man's Sky NEXT is likely to be the new multiplayer mode on offer. Coming to all platforms, the mode allows players to team up with a small group of friends and explore the universe together - or you can simply team up with other / random players online. Working together you can help each other survive, or even prey on others to survive. Hello Games suggests that you might be a pirate or a wingman in epic space battles too. With your team it will be possible to build and share complex colonies on the planets you visit. Multiplayer opens up fun competitions where you can design and create exocraft race tracks and trails to share online. Other features coming to the significant NEXT update / expansion are; unlimited base building, and the ability to command freighters - or even a fleet of frigates. Friends can help in these building and command activities. One last note on the Xbox One release date: it will be 24th July in North America and include the NEXT update. Xbox gamers in Europe will have to wait until Friday 27th July for the game's official release. True, but if you make a bunch a promises and don't deliver while being underhand the closer it gets to release, then you deserve any backlash you receive. NMS with a team of 16 will get the same backlash as EA with a team of 160. If your name gets big because of all your marketing and crazy cool demos and promises…well, the bigger they are the harder they fall.